If you have PCOS, you often hear that you probably should’t be drinking dairy. I’m not a doctor so I can’t say for sure why, but there are a few articles out there that say you can drink dairy if it’s from a Jersey cow, goat or sheep. PCOS Diva does mention that ricotta cheese made from Holstein cows could be okay for some people because all of the casein in the whey was separated from the milk solids. Anyway, I’ve personally been using Jersey cow and goat products for the past year. 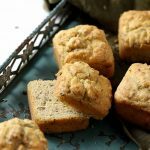 But for those of you who absolutely do not want to eat dairy, or for those who are lactose-intolerant that want to eat cheese again, there is an alternative to dairy-cheese, and that is almond cheese. 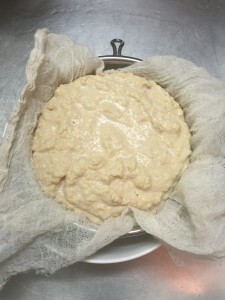 Making cheese with different kinds of nuts has been quite popular recently. 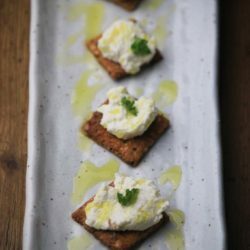 You can use cashews or almonds (I haven’t tried other nuts yet) to make this nut ‘ricotta’ cheese. 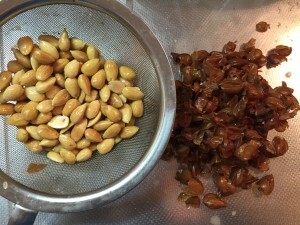 All you have to do is blend soaked blanched almonds for 8 hours or 2 hours for cashews and blend away with some water. 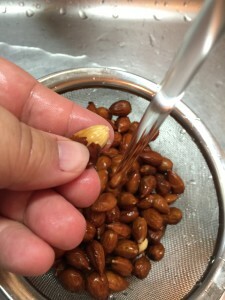 If you don’t have blanched almonds on hands, but you have normal almonds, that’s perfect! 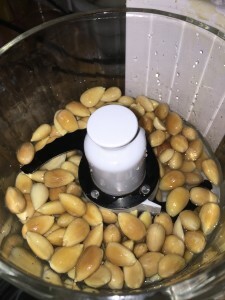 It’s really easy to make blanched almonds. All you need to do is put some water to a boil and add the almonds in. Boil no more than 1 minute and immediately drain into a strainer. Cool with cold water. Now this next part is a little fun to do and takes a little bit of patience. You’re going to squeeze the almond out of its skin, just like in the picture. Make sure that when you squeeze the almond doesn’t go flying somewhere else. HAHA. That happened to me a couple of times before I learned my lesson. Just squeeze all of the skins out and tada, you have blanched almonds! For the ricotta, the basic recipe is just blended nuts with water, but there are quite a few variations you can do to make your ricotta taste more like cheese. 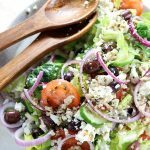 You can add lemon juice or vinegar to give it that tang that ricotta has, some salt and pepper, some different type of fresh herbs like basil, rosemary, parsley, etc, or some garlic. I’ve even seen different recipes using nutritional yeast and white miso. I prefer putting a little bit of lemon juice/vinegar and a bit of salt for a plain ricotta. If I have fresh herbs on hands, then I’ll usually add some fresh basil. 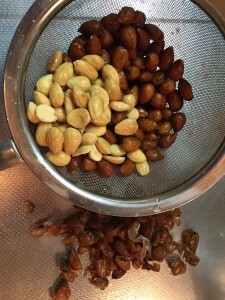 You usually need to blend the nuts in a blender, but if you don’t own one (like me), you can use a food processor. Just make sure to put a kitchen towel over so that the liquid doesn’t come rushing out. After it’s done blending, I usually add it to a sieve over a cheesecloth to drain excess liquid from the “cheese”. This part is totally optional, but I like to do it so that I can control how thick my “cheese” will be. Note that depending on the colour of your almonds, your cheese may end up more beige than white. If you make the cheese with homemade blanched almonds, your cheese will probably be a beige colour. If you do it with some store-bought blanched almonds, then your cheese will be closer to a white colour. 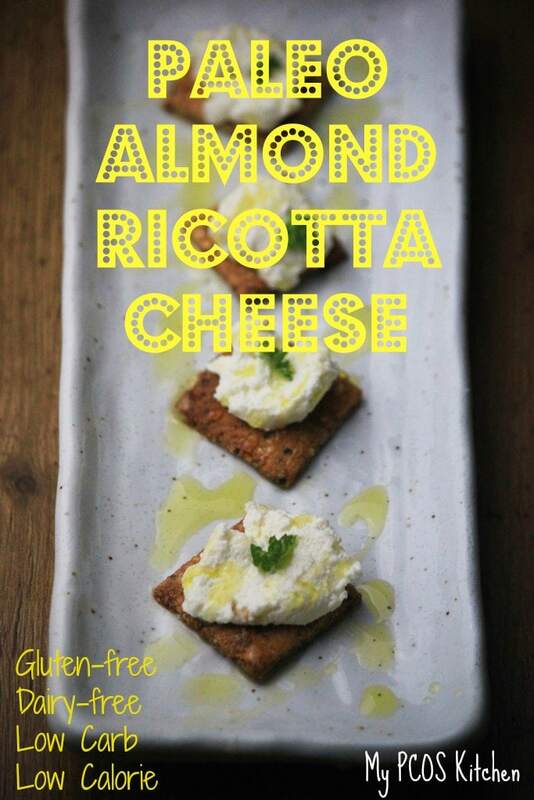 A dairy-free option to a delicious cheese! 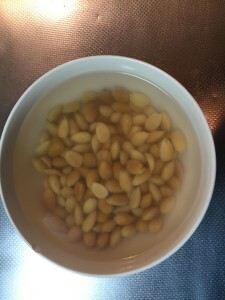 Put the blanched almonds in a cup of water and let soak for 8-12 hours. Drain the nuts and transfer to a blender. Add the water and blend on high speed until the nuts form a creamy paste. This part is optional, but you can put the almond cheese inside a sieve over a cheesecloth to drain some of the liquid for a thicker cheese. Add a little bit of lemon juice or vinegar to give it a tang. A tbsp or 2 should be fine. Add any fresh herbs, tbsp of nutritional yeast, tbsp of white miso paste, or a tsp of garlic for different flavours! 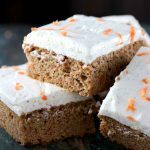 Keep in an air-tight container in the refrigerator up to 1 week. I didn’t add the nutritional value for this because honestly I’m not sure how to calculate it. I think that if you just input the amount of cups of blanched almonds you used then that should be it. For reference, one cup of blanched almonds is 842 calories, 73g total fat, 6g saturated fat, 41mg sodium, 29g carbs, 15g fiber, 7g sugar, and 32g protein. If you add any other ingredients like lemon juice/vinegar/miso etc, then you’ll obviously need to factor those in as well. Hum, I loved this as entrées for a dinner with friends.